Sentiment analysis on tweets using Naive Bayes, SVM, CNN, LSTM, etc. State-of-the-art detector of Boring hats in images and videos. 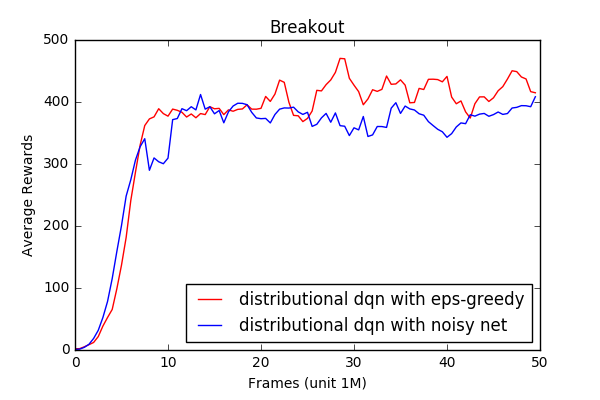 A PyTorch implementation of the agent presented in Playing FPS Games with Deep Reinforcement Learning. An efficient PyTorch implementation of the winning entry of the 2017 VQA Challenge. A partial implementation of the Rainbow agent in PyTorch. Rainbow is a deep Q learning based agent that combines a bunch of existing techiques such as dueling dqn, distributional dqn, etc.